Today, Arduino announced a new family of wireless products that combine the Arduino architecture with Linux. The Arduino Yún is intended to be the first member of this new line of wifi products. 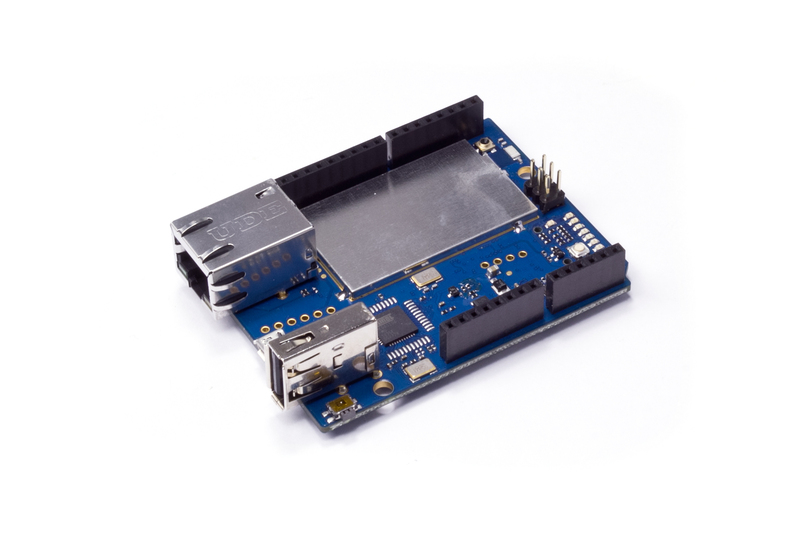 Arduino expects the new board to bring the power of Linux with ease of use of Arduino. Developed in partnership with Boston-based automation engineers Dog Hunter, it’s basically a Leonardo (ATmega32U4) with an embedded wifi Linux board on the PCB, running Linino (MIPS Linux variant) to handle all those wordy text-based formats like XML and other HTTP transactions. You can program it via wifi, or by the usual USB cable. And they’ve also partnered with Temboo for one-stop API access to data from Twitter, Facebook, Foursquare, FedEx, PayPal, and many more.